beautiful frame.. painting looks great in it..
love this frame and all my purchases..will buy from this co. many more times! A bit pricey but just what I needed to show off a small canvas print for a high quality art show. Very pleased with the quality and workmanship of the custom picture frame that I ordered! The frame was completed under the expected timeframe and was very well packaged. 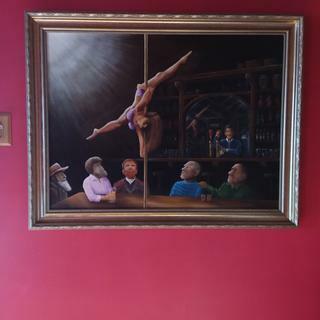 The end result was stunning and we've received many compliments on the framed art. I will definitely recommend this webstore to all my friends and relatives. Amazing, beautiful and perfect made. !!!!!!!!!!!!!!!!!!!!!!!!!!!!!!!!!!!!!!!! 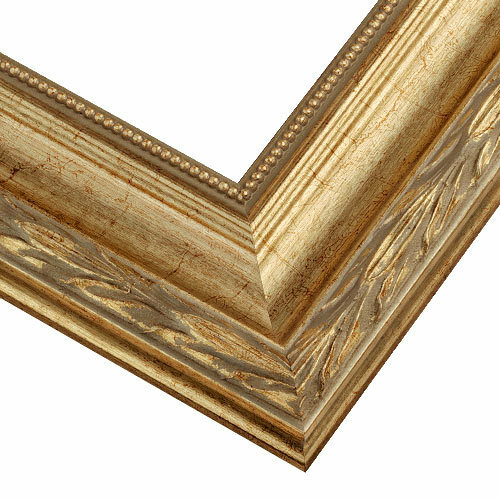 The VN7 Champagne Frame is a beautiful frame that goes well with many paintings. It has a subtle warmth to it that antique silver does not have. I wish it also came in 4 inches, and I wish this style was available in antique gold. 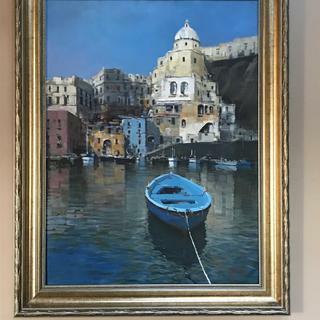 Beautiful lightweight wooden frame. Just watch out for the guru length for the wire hanger. This Frame is very beautiful I think. The only problem that I came across with it is the fact that the screws were too long for the shallower part of the frame so when they were put on the back to for the wire hanger they made dimples on the front of the frame. This is the second of two frames I ordered, and I was very pleased with both. The quality is excellent, the ability to do rush orders was also excellent. I have already been recommending this company to my fellow artists. Thank you for a great product and great service! 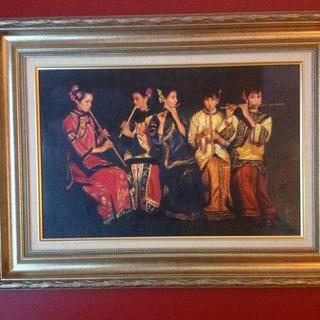 For an ornate large frame this is an excellent price. I had a 40x30 painting that I used. Looked fantastic. Cuts and seams are flawless. It has a vinal type colored wrap on one layer to help costs im sure but cannot tell. Beautiful! Excellent quality frame. 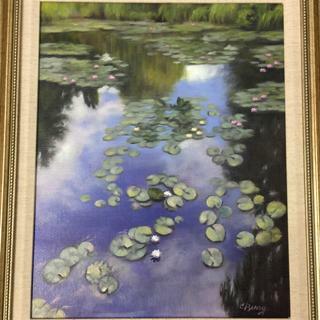 Frame finishes off this wonderful oil painting. I’m so glad I discovered this site! Love being able to upload pics and try on frames before purchasing! Very pleased with every aspect of my shopping experience. Really nice quality frames. Service is great. The packaging was extremely secure. The (sale) price was excellent! I was a bit nervous buying a frame online, but low and behold it is perfect. It's strong...the dimensions are perfect...only thing missing was the hardware to hang it, I wish that part was a little clearer in the ordering process, but I worked it out and I am very happy with my purchase. THANK YOU!!!!!! Hi Kim! We are so glad you are happy with the VN7 frame! We apologize you did not receive the hanging hardware as it was most certainly meant to be included in the order. If you are ever missing any hardware, please let us know we'll will be happy to send that out. We can be reached at 800-332-8884. 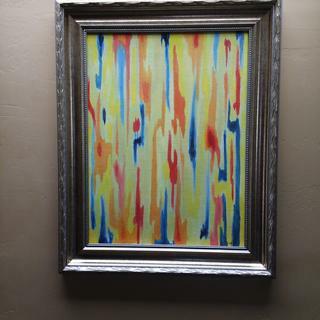 I have used this frame for several paintings. It is truly elegant and very well made. I would highly recommend it. I like all the frames I have bought from Picture Frames! Wasn't sure I would like it but it's ok. I've liked all the frames I've bought from you. 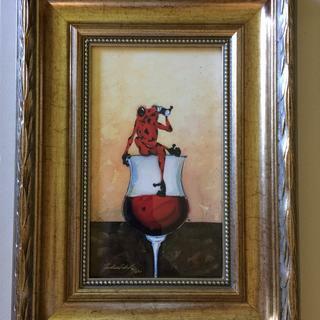 I have ordered this frame a number of times over a period of years as it is so versatile being suited for a number of painting styles and color palettes. I will continue ordering this frame. A great frame in champagne gold. Classic molding perfectly compliments a 24x30 Sisley reproduction. Packaged to withstand being dropped from a building! Thanks. First Time Customer Will Return. First time ordering from your company but it definitely will not be the last! Excellent delivery timeframe. I was very pleased with the frame and the mat. I bought the frame for a commissioned piece of my artwork. My client was more than happy and I was proud to present it to her. Thank you again. Ordered this frame for a client in the past. She loved it! I was impressed with the ornate decorative features, and quality. Looks good with 60's painting I bought it for. Because it's gorgeous and it's wood, my preferred material for framing. It will also compliment my pastel drawing perfectly. It is a beautiful frame. Frame color was right and it was the closest to a neo-classical style frame that I could find. This is the color of frame I needed for a canvas painting. Wanted a nice, decorative frame for my Bachelor's Degree. 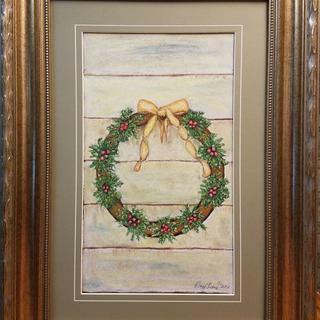 Looking for that vintage elegant frame to fit a warm winter scene. Not too loud of a finish to compliment the painting. This frame gives the illusion of having a contrasting liner which helped make my artwork pop. 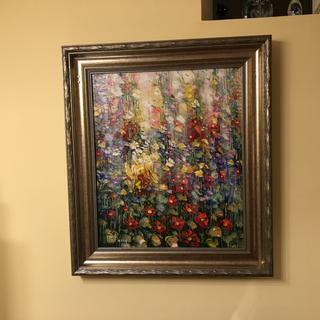 And it created a lovely, soft feeling to the art I wanted to frame, which was exactly what I was going for in my guest bedroom. Great frame for Antique looking traditional images. Clean but Traditional. A nice mellow Transition between A Classic Beauty and a slightly more contemporary look. Works well on Winter Scenes. Good neutral color and well priced. Looking for champagne color and the style. Wanted a vintage-inspired frame for a 19th century style oil landscape. 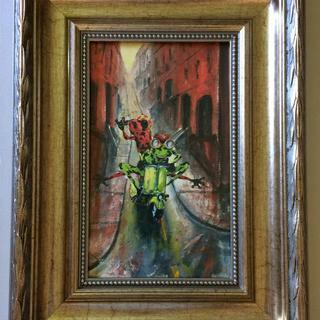 I need wide ornate frames in small sizes for my artwork. When do I enter exact measurements on my order? BEST ANSWER: When we ask for your artwork size, this is when we ask that you enter in your exact measurements for what you are framing. Thank you! I brought back a small canvas from Paris and it's in cm...16cm * 22cm...which frame size should I order? Thank you for your inquiry. 16 cm = 6 19/64" rounding that to the nearest eighth of an inch ends up being 6 3/8". 22 cm = 8 21/32 rounding that to the nearest eighth of an inch ends up being 22 6/8. Do note that this frame has a rabbet of 3/8" meaning that the artwork has to be smaller than 3/8" in depth to fit this frame. Anything larger than 3/8" will stick out in the back of the frame. Some customers do not mind this when the frame width is larger. I recommend ordering some free 3" samples of the frames you are interested in to get a better understanding of the frame and your artwork. I have a F15 size painting (Measured 21 inch H x 25 3/4 inch L). Which size should I choose? BEST ANSWER: Hello! 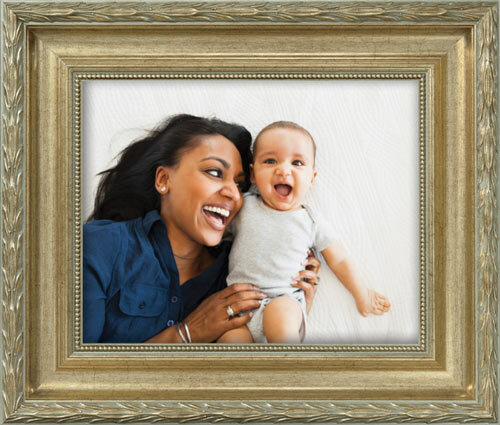 The inside dimensions of the frame should be the same size as your artwork. Please order size 21"x25 3/4". Please let us know if you need further assistance. Happy Framing! BEST ANSWER: Hello! Thank you for reaching out to us! The depth of the VN7 will not work with your painting however the PAZ11 frame has the appropriate depth of 13/16". 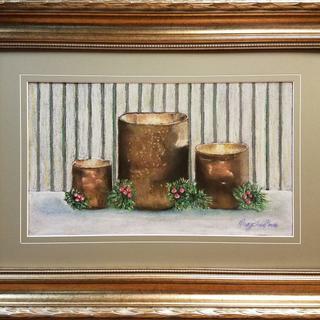 The frame is also available in the size 24"x45.5" that you need. If you need assistance placing the order, please give us a call at 1-800-332-8884. Have a great day! Is this frame gold tone or silver? BEST ANSWER: The frame is a champagne color with more of a gold tone. Please consider ordering a free sample before making your purchase. Thank you!